SEO Success – Avoid Social Media Errors! Starting out as just an online trend, social media has evolved into an essential tool that every business needs to succeed online. The hardest part of using social media is understanding how to use it to gain desired results and increased SEO efforts and results. Avoiding a few common mistakes, any business can have a great online social presence, one that will continue to benefit a company in many different ways – here are some tips to help. When it comes to visibility and social media, there are two unrewarding extremes and then some middle ground that usually gets the best results. Infrequent content addition allows brands to be forgotten, something that is obviously not going to bring in any new customers. On the other hand, when any one brand posts so frequently as to actually be offensive and cause viewers to block such frequency would be completely counter-productive; it would be the same as not posting at all, which is the worst mistake to make. Relevant postings with something to say that are frequently posted when warranted is usually a good balance to stay in the public eye without overdoing, although even that is not the problem. The biggest problem is when companies do not post to social pages often enough, if at all; that is a real faux pas in social media. In all of that daily posting, there should be something relevant to say – blended with some creative ways to keep people interested. Questions, opinion polls, special offers, games, and other similar ideas are a few to consider. Keep the profile active and encourage follower participation in interesting, attention-getting and informative ways. Another big mistake that can affect SEO results is to not have social media efforts timely responsive to followers’ emails, comments and questions. Prevent this by being sure that any and all communications are handled within a few hours of receipt. All publicity is essentially word-of-mouth, so all contact by viewers and users should be quickly handled to avoid losing the attention of viewers. 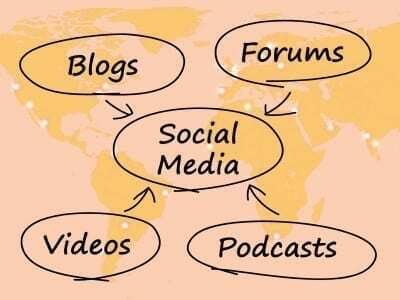 The beauty of social media websites is that most businesses have profiles as do most people. Fine tuning to different audiences is important, as frequent followers are more likely to become new customers, sharing pages with friends – all of which builds to more exposure, traffic, and a better SEO outcome . How do you do this? Experiment with advertising on suitable social platforms and track the results to direct future campaigns. With good planning and data tracking tools, it can be done fairly easily. Also recognize that followers cannot be bought – they must be earned. A business can avoid the biggest social media mistakes and find promising overall results. The whole purpose of using a business social platform is to increase SEO positive results by staying in touch with followers. Relevant updates, good communication, some fun and creativity, and smart advertising can make that happen! Web Unlimited – Your Best Source for Effective and Product SEO Results! Call Web Unlimited at 979-696-2500 to boost your SEO results to a higher level!